A man seen at outside Nissan Serramonte in Colma, California. Photo: Reuters. 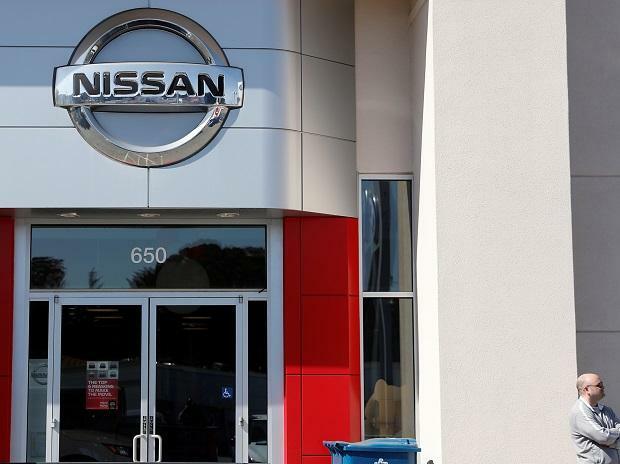 A Nissan Motor governance committee will recommend the appointment of an external director as board chairman, a role distinct from company chairman, in a move to decentralise power at the top level, the Nikkei business daily reported on Sunday. Under Nissan's current corporate charter, the position of board chair is automatically appointed to head the company board, the Nikkei said citing a source. Former Chairman Carlos Ghosn had filled both roles prior to his arrest in November for under-reporting his salary for eight years. The issue of Nissan's chairmanship is now particularly important after the Japanese firm identified the concentration of power in one executive as one of the reasons Ghosn was able to carry out his alleged fiscal misconduct. Speculation has swirled about whether the newly appointed chairman of France's Renault, Jean-Dominique Senard, would assume the chairmanship of the Japanese automaker. The Nikkei report comes after the governance committee said in a statement that the separation between operation and oversight was among topics discussed on Friday at the committee's third meeting since it was formed in December after Ghosn's arrest. The panel, comprising three Nissan external board directors and four third-party members, is scheduled to make recommendations to Nissan's board in March on how to tighten lax governance and approval processes for matters including director compensation and chairman selection. A spokeswoman for the committee said it could not comment on potential recommendations before they are submitted to the Nissan board. Nissan did not immediately reply to an emailed request for comment.